eFolder is a leading supplier of cloud business continuity, cloud file sync, and cloud to cloud backup solutions for MSPs, cloud service providers, system integrators, and VARs. Delivered as wholesale services to the channel, eFolder enables its partners to provide branded business continuity, file sync, and cloud to cloud backup services and to generate highly profitable, recurring revenue. eFolder services complement many of the managed service offerings already deployed by partners and integrate with common PSA systems, making adoption of eFolder services fast and easy. eFolder also empowers cost-effective partner and end-user private clouds, allowing partners to meet the needs of any client, regardless of size or readiness to engage in public cloud services. 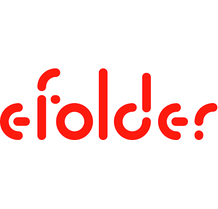 eFolder is a privately held company and is headquartered in Atlanta, GA.